Your Challenge This Week: Workout With A Buddy! 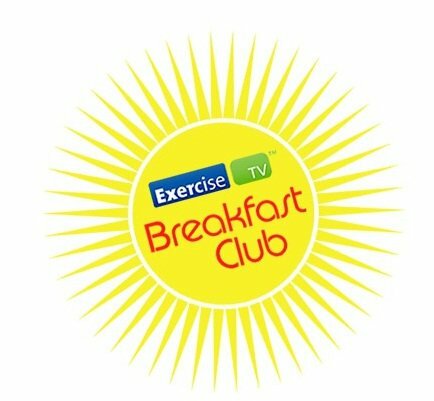 I’m still helping ExerciseTV with their “Breakfast Club” each week by giving members a new challenge to do in addition to their regular challenge of eating a healthy breakfast. 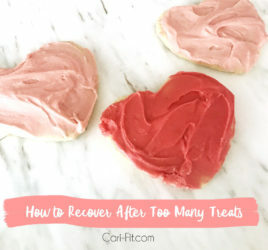 The program is free and all you do is go to the Facebook page and chat (if you want) about what you had for breakfast and get ideas from others. Then, you can tell me and the others if you also did my workout challenge! ExerciseTV has also partnered with Social Workout, a great social networking site that is all about health and fitness! You can officially join the challenges there each week so that you can really be held accountable! 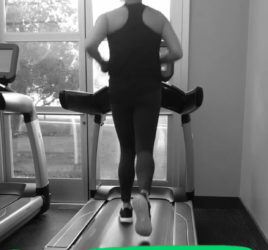 They have this great system where you log in a once a day, once a week or how often as you like, to track your progress and enter in things such as # of workouts, # veggies you ate, # minutes you spent outside or any other challenge that you decide to join. You can also challenge your friends and invite others so you can all see how you stack up! So, your challenge this week is to workout with a friend/buddy at least 3 times this week! You can grab your dog, a friend, family member, coworker or anyone else that would be a fun workout buddy, or r, maybe you know someone who could use a little extra help or motivation. My workout buddy this week is SMUDGE! He’s my 1.5 year old basset hound! Don’t laugh…he has some pretty fast little legs. Although the drool and big ears tend to slow him down. I hope you all join the challenge and let me know how you like it!